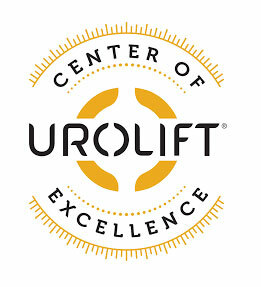 UroLiftⓇ is a revolutionary system in addressing benign prostatic hyperplasia, or BPH. At Midtown Urology Associates, Dr. Trotter and Dr. Mazzarella help men regain normal urinary function through this minimally invasive treatment option. If you live in the greater Austin, Texas area and would like to learn more, make a consultation appointment today. Call or use online scheduling to make it fast and easy to find a time that fits your schedule. Our physicians have achieved the highest level of training and experience with the UroLift® System. How does the UroLiftⓇ system work? Your prostate gland has lobes that rest on either side of your urethra. When your prostate is enlarged, those lobes place pressure on your urethra, making it difficult to achieve proper urinary or sexual function. UroLiftⓇ uses tiny implants that act like curtain tiebacks to provide separation of your prostate lobes. That relieves pressure, providing effective BPH treatment without the need to rely on drugs or more invasive surgical options. UroLiftⓇ is a good fit for many men suffering from the symptoms of BPH, and clinical research shows the UroLift system to be a safe and effective means of improving lower urinary tract issues. Dr. Trotter and Dr. Mazzarella received specialized training in the UroLiftⓇ procedure, and have extensive experience placing the implants. When you seek this treatment option, you join thousands of men from Europe, Canada, Australia, and the United States who have found lasting relief from the symptoms of BPH using UroLiftⓇ. How are the UroLiftⓇ implants placed? Your UroLiftⓇ procedure begins with either local or general anesthesia. Your doctors at Midtown Urology Associates make sure that you are comfortable throughout the process. Your doctor installs the implants using a special UroLiftⓇ Delivery System. Because it's a minimally invasive procedure, there's usually no need for a catheter, and you can go home the same day. Once the healing process is complete, you can return to normal urinary and sexual functioning. What is the recovery period like with UroLiftⓇ? While many men choose UroLiftⓇ as their preferred treatment options for BPH due to the swift recovery period, you may experience a degree of urinary discomfort as your body heals. Some people report pelvic pain, urge incontinence, and the presence of blood in their urine for a short period after their UroLiftⓇ procedure. Most of these symptoms are mild or moderate and fade over 2-4 weeks. If you experience significant pain, fever, or any other severe symptoms, reach out to Midtown Urology Associates to determine if a follow-up visit is necessary. To Learn more about UroLiftⓇ and how it can help you, contact Midtown Urology Associates online or over the phone to schedule an appointment today.